Unearth exciting opportunities with our tree care services team. 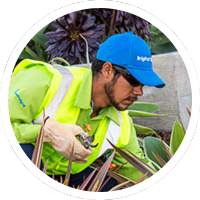 If you love trees and have experience in plant health care, you will find limitless career advancement potential with BrightView as an arborist. Work at the industry’s forefront while having the satisfaction of knowing our company is invested in your well-being, safety and professional growth.